8 hrs later and we finally made it to the hotel! Riley was a sweetheart the entire trip and slept in the back seat most of the drive. 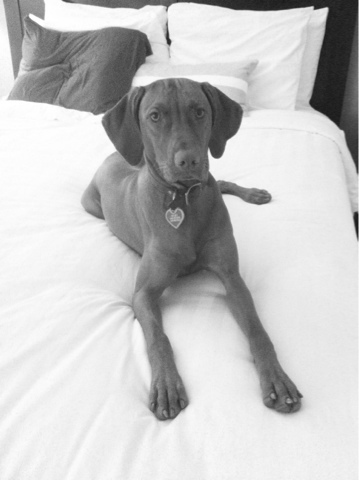 Tomorrow we will drive to San Diego for a hike with some Vizsla siblings and nephews... super excited!